FBTBForums.net :: View topic - Ended: The A-Wing Vs. Tie Interceptor concept contests. Ended: The A-Wing Vs. Tie Interceptor concept contests. heres mine. its in the mini a-wing catagory. I doubt im gonna win though. Here is my Entry into the Minifig scale Tie Interceptor Contest. Ayayayay, I'm so behind on this! Tomorrow after work, I'll start working on this thread. Procrastination, as always, (and perhaps the greedy, paranoid quarding of my secrets) has once again gotten the best of me, but I have at last uploaded pictures of my entry for the TIE Interceptor contest. -Take some decent resized pictures (JPEG format) please, something around 800px-600px would be great. Also try to use some plain backgrounds. Hello once again, finally, I had a bit of time to organize the entries in their categories. Wow, only a couple of days left, so, if you feel that you need more time to enter new models, please let me know. 1) If I can use CAD to design my lego model for the contest, why can I not used painted (and otherwise unmodified) pieces? 2) It states you can't use the same model for other categories. Does that mean that if I design both models, I'd have to design two more to enter the combined category? 1) CAD has it's own limitations and it's own hard to judge rules, and I'm not a big fan of the system because the laws of physics don't really apply on it's models, unless of course you built them with real bricks. I just wanted people who happen to have the CAD skills and lack the right bricks to enter and join the fun as well... And I'm also a bit of purist when it comes of using LEGO system, so, modified bricks is a bit of cheating, but if you feel that you have the coolest design that requires such non-LEGO methods, feel free to use the CAD system. 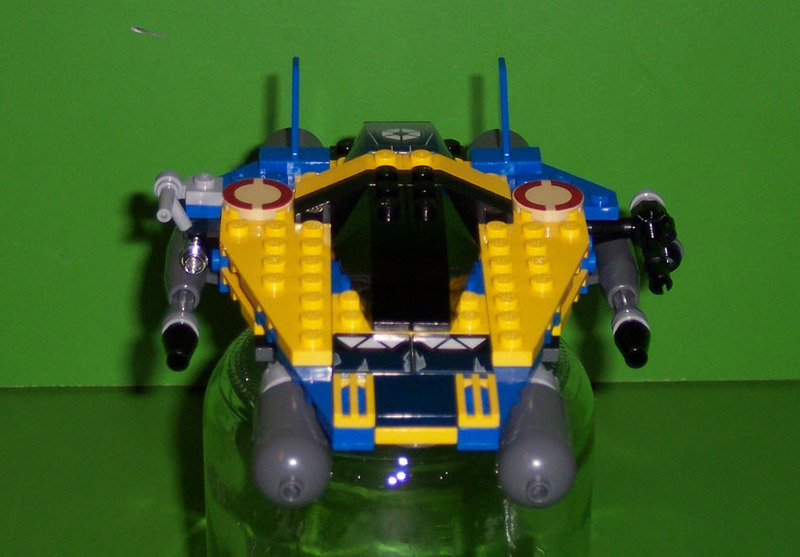 2) It simply means, that you can't use the same minifig A-Wing (for example) as a MINI A-Wing entry. You need to build a new model. Believe me, some people always try to find ways to abuse the rules, and I added such a rule to be on the safe side. Hey what is the LEGO set given to the winner? Any chance you can collate all the entries into one section on you first post so they are easy to view as you have done in the past on other competitions. It makes viewing a lot easier. I think I did this yesterday! No? As for the what sets are awarded , I haven't decided yet. So you did. I must be going blind. My apologies. What if the same person wins in two categories? Like a MINI A-Wing and a minifig TIE-Interceptor? He or she will get both prizes, as simple as that. So Joseph um have you decided on the prizes? or size of prize to give out yet? and if so is there a second and third place prize or is this time all about first place's? You know what, to think of it, since this is a virtual forum, and I think the prizes will also be virtual. Any other dump questions, please feel free to show your high IQ to the public. Don't worry kid, the sets are real, like they've always been. Alright, I'll give this a try. Been visiting this site for years so it's about time for my first contribution. Would this count as a Mini scale A-Wing? Its definitely larger than standard minis but smaller than fig scale. Since this ends today , are the winners and prizes going to be announced today? I'm guessing it will take the judges some time to decide on the winners. Since you still have a whole day left today, you should build another model or two for the other categories.